I’ve had an Amazon Echo at home for some time and love it. It is used mostly for controlling our Philips Hue lighting (15 different zones/lights) and our Sonos sound system, plus a bunch of scenarios and other home automation niceties. 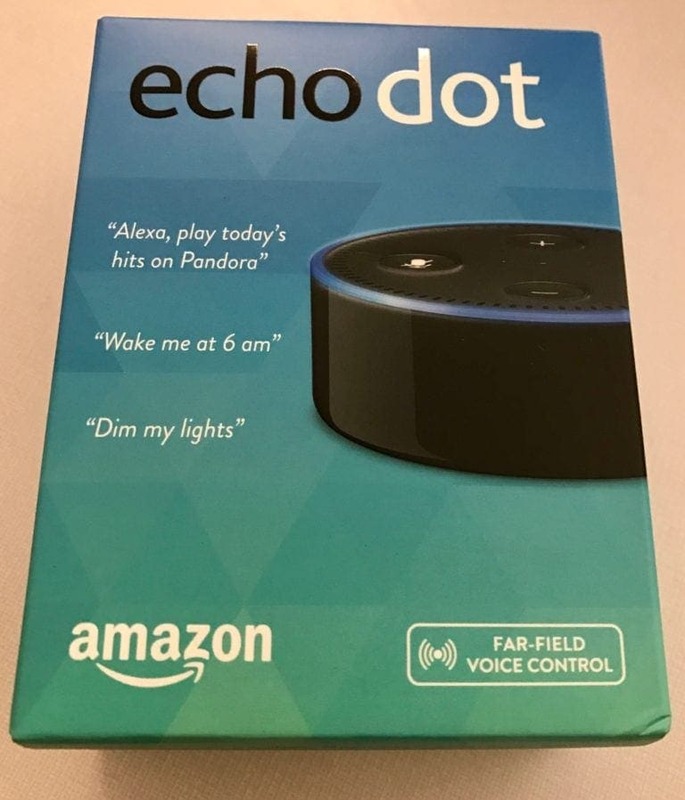 I’ve been wanting an Echo Dot for Grace but missed out on the original release. I was able to snag one recently, and have it doing a few things on the boat, with some cool plans for the future. I know several people who have the full sized Echo on their boat, but it requires AC power which is something I wanted to avoid while away from the dock. Plus it is much bigger and has larger speakers which I didn’t need. 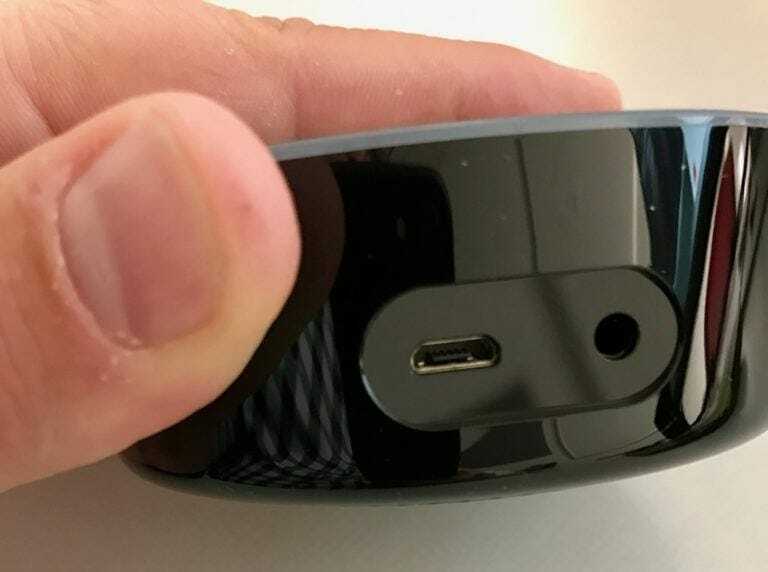 The Echo Dot runs off of USB, is super tiny, and pairs with Bluetooth speakers easily. The size is nice, but USB power is the real reason I wanted the Dot. I have BlueSea USB outlets in several places around the boat that are always on. This will allow for easy mounting and continuous power whether we’re at the dock or underway. I’m also considering using a DC-DC buck converter which can take a range of input voltages, and output a constant 5V for USB connectivity/power and wiring it in permanently. The Dot easily connected to my Fusion stereo, and because I had a full size Echo already, my Spotify, Pandora and other music accounts were already setup and ready to use. 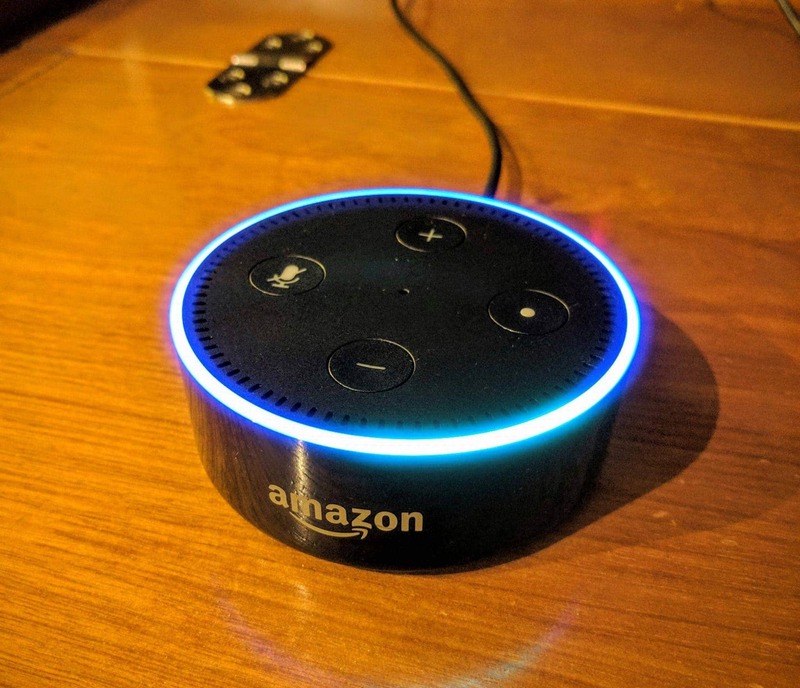 Instead of having someone’s cell phone paired with the stereo, now we can all yell our favorite music requests at Alexa and hear them throughout the boat. When the stereo is off, the Dot’s built in speaker is good enough even while the engine is on, but only down below. This solves the dual problem of a cell phone battery draining quickly while playing music, and also having it inevitably out at the cockpit to control the music. We have a charging port in the cockpit, but Bluetooth seems to be flaky depending on the various electronics that are on. The other issue is having your cell phone in the cockpit to begin with from a safety and waterproofing perspective. Alarms from NMEA 2000 bus– using the data from SignalK / iKommunicate and potentially canbus, writing some code to set alarms and thresholds. When one is tripped, have something sent to IFTTT so that the Dot alerts us to a problem audibly. An example could be a low battery voltage, which the Dot could say “Low battery voltage on house bank, please review”. Control of lighting – I’d like to control my ambient LED cabin lights via the Dot. There’s a wifi-based gateway that can be paired with the RF receivers and should allow me to write some glue on my on-board Linux machine to control them. Anchor Watch – this could be driven by some of the same work as the alarms above, but I want it to be as robust as possible. Potentially looking at spitting GPS data onto the WiFi network that the Echo could consume and monitor, along with a geofence or other limiting factor. I’m sure there are a ton of other things to be done that would enable alerts or control via voice. I’m looking forward to experimenting more with the Dot on the boat. Our boat gets dirty - all the time - and a good vacuum is essential to keeping it clean. The Dyson v6 car+boat vacuum performs amazingly well and lasts a lot longer than you would think on battery.